For some people, starting a franchise is a much better option than starting their own business. They think it is much easier and it has several advantages. From brand equity to operational support, it does appear that franchising is a suitable option for those who want to break away from their nine-to-five jobs. 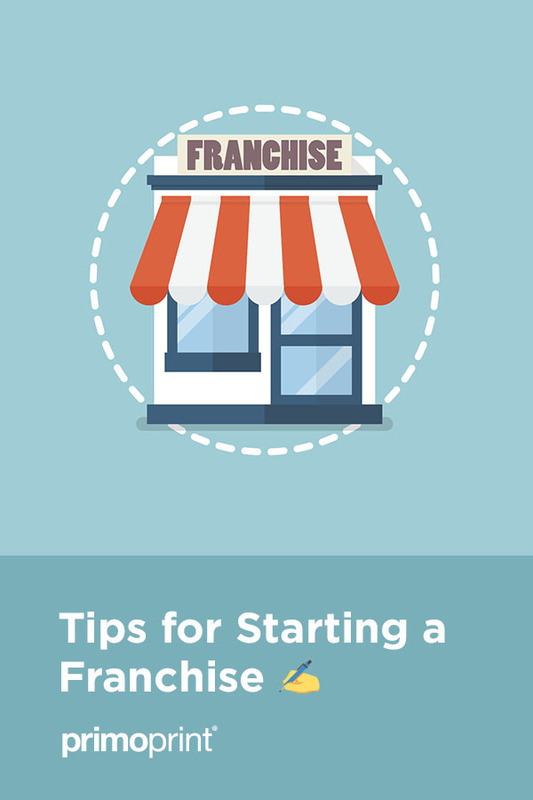 If you are planning to open a franchise, there are many important things you have to know. You need to put in effort and time to research while also taking care of the proper due diligence. 1. The failure rate is much lower than starting your own business. The franchise you will buy is already an established concept, meaning it is a successful brand. Statistics have shown that franchisees have a much better chance of thriving in a cutthroat world than when they start a company. 2. You get the help you need right at the beginning. Of course, you need to do your homework when it comes to running the business. However, it is much easier to get the help you need when you buy a franchise unlike when you start from scratch. Lots of franchises are already turnkey operations. Therefore, you have almost everything you need from supplies to equipment. Even the instructions and required training will be provided to you as well. Plus, you can get constant help, particularly with management and promoting the business. Since it is an established brand, your franchise will quickly benefit from the parent company’s marketing campaign. 3. Franchises are often well-known. Another significant advantage of buying a franchise is that the company is mostly a recognized brand name all over the nation. It is like purchasing a business that comes with its own customers. 4. You gain the benefit of the parent company’s collective buying power. The franchisor can purchase supplies in bulk. Typically, they pass the savings to the franchisees. Franchising becomes more affordable than running an independent company since the supplies cost much less. 5. The franchise can be an instant hit. Since it is a well-known brand, it is easy to gain profits, and you may pay more if you purchase a popular and proven business. However, they guarantee you higher returns on investment, and they have a lower risk. Just like with any other venture though, franchises have some disadvantages, too. The total cost will depend on the franchise, but it is expensive. You will need to pay the original franchise fee, along with the royalties and other service fees. Depending on the agreement, you may also have to comply with the terms of the franchisor, especially regarding the location of the business, operation hours, and product pricing. As you can see from above, the benefits easily outweigh the negatives, which is why you may want to know how you can start a franchise. Before anything else, you should devote time to study which franchise will provide you with the most gains. You should be aware of the rules, including the company policies. At the same time, you should also know about the costs involved, such as the franchise fee, the payment for the equipment and supplies, and real estate. Talk to the franchisor that is operating the franchise. In most situations, you will be asked to complete an application form or a questionnaire. At this point, you should not be surprised that there are detailed questions, particularly about your finances. The franchisor will undoubtedly ask about your assets to ensure that you have a fallback position to help the business. This way, if there are monetary difficulties, you will be able to fund for it. In most cases, you will also have to provide the financial situation of your significant other. Such information will allow the franchisor to determine that you are both prepared for this type of financial commitment. Other questions might involve your educational background, business experience, and perhaps even your aspirations. Your answers will help the franchisor figure out whether or not you are the right person he or she can run the business with success. After the written questionnaire, the franchisor may talk to you in person. If it is a big company, a representative will meet with you to discover more things about you. It works as if you are in a job interview where you will mostly discuss your interest in the business and your commitment to it. You should take this opportunity to get to know more about the company. Learn about the expectations of how you will run the franchise and other useful information about the business. If you and the franchisor connect well, you will be asked to sign the franchise contract. Be sure to take the time to read what it entails, which will give you all the information you need about your obligations. It is best to seek legal advice so you can analyze everything. Some aspects may be negotiated, which can be helpful for you as the franchisee. Also, if the franchisor makes a promise or guarantee, make sure that it’s in the contract. Once the franchise agreement is signed, you can begin planning how to operate the business. You can search for the appropriate location. Most of the time, the franchisor will give you recommendations and guidelines, so you find the right place for the business. You may also be required to undertake the training program that the franchisor has provided. It will teach you what you need to know about the products or services, so you can effectively market them. Do: Choose the franchise that will work best for you. Many people make the mistake of selecting the brand based on its popularity. Franchisors are not created equal. It is best to go for a company that provides support for franchisees, as well as the resources they need. Always look at the franchise costs first, as well as the training programs and the assistance you will get before you commit. Meredith, from HubSpot, lists the 39 Best Franchise Opportunities of 2019. Don’t: Overstate your financial situation. For some, a franchisee may think their application has a better rate of getting approved if they misrepresent their finances. This practice is a mistake and will ultimately cause issues. Preferably, you should always be honest with the franchisor, particularly about your net worth, since the truth will quickly be discovered once the company performs a credit and background inspection. Do: Take advantage of the resources from the franchisor. A significant benefit of becoming a franchisee is that you will get most of the support you need from the parent company. You already have a proven business model, which will make it a more straightforward task for you to market the products or services. Even better, the company will assist in promoting the business. There are also resources and marketing tools that the franchisor may offer, which can be helpful for the franchise. Don’t: Expect franchising to be easy. Running any business requires a lot of work. Even as a franchisee, you will have to spend long hours. A common misconception is all it takes is to learn how to start a franchise, and everything will be a breeze. Even though you have a proven business model to work with, the success of the franchise operation will depend on the work you put in. Fortunately, there are several franchise blogs dedicated to helping you evaluate the best opportunities to increase your knowledge and become successful. Once you establish the franchise, finding customers should not be as difficult as starting your own business. You will be surprised at the customer base that you will serve even at the beginning of your operations. However, it does not mean that you should forget about marketing. Promoting a franchise is mostly the same as any other business opportunity. The company typically has already built a name for itself, which is a reason why you purchased the franchise in the first place. Nevertheless, you still need to promote the company so that its existing and potential customers will know the business even better. Start with understanding the establishments and groups within your three-mile radius. You should be familiar with schools, businesses, employers, apartment complexes, and neighborhoods in the area. The key to a successful marketing campaign is you know the brand yourself, along with its products and services. This way, you can effectively communicate the positives of each product to your potential customers. Having a grand opening event is a great way to create buzz around your new franchise. Get people excited by handing out fliers and sending out Every Door Direct Mail postcard campaign prior to your event. Whether you’re looking to add additional knowledge or in the beginning stages of becoming a franchisee, below are a list of books that may be beneficial. Starting a franchise is an excellent opportunity to run your own business. Just like with any venture, you can either succeed, or you end up losing your investment. The key is to understand the whole process while learning from other people’s experience. This way, you know what to do, starting from selecting the best franchise for you to becoming profitable.